As The Joker's latest attack on Gotham City continues, Batgirl finds herself tasked with a special mission - find and rescue Lucius Fox's youngest daughter. Finding a single girl in a city the size of Gotham would be tricky even without mass rioting by a populace that is slowly being driven mad by a Joker-designed virus. 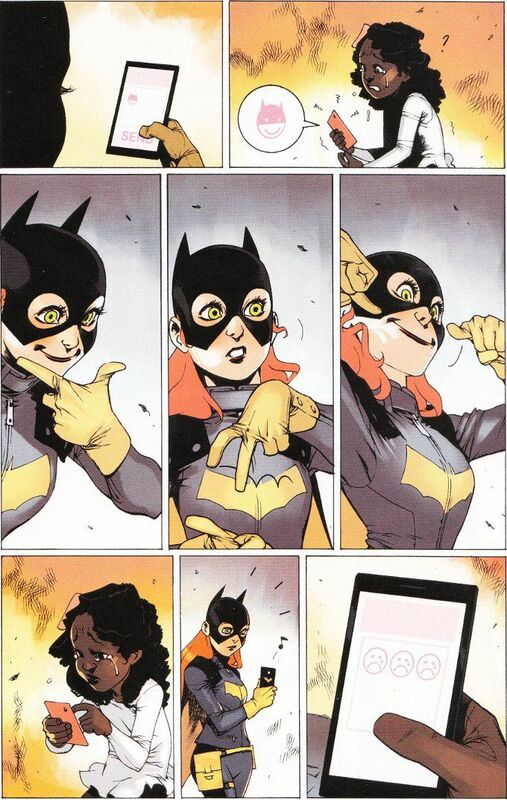 But since when has Barbara Gordon ever wanted things to be easy? You never realize the importance of dialogue and thought balloons in a comic until they are gone. It's particularly jarring in this case given that Brenden Fletcher and Cameron Stewart write such fine dialogue. But the action of this issue proves that they can spin a story just as well without words. Bengal proves more than capable of conveying that story through the artwork. The flow from panel to panel is brilliant and one of the finest examples of silent storytelling in a comic since Andy Ruton's Owly. Bengal's coloring is also noteworthy, with the entire issue being rendered in warm colors, with nary a blue or green to be seen.